The Social Worker Program(No Association Membership or Dues Required) | American Professional Agency, Inc. 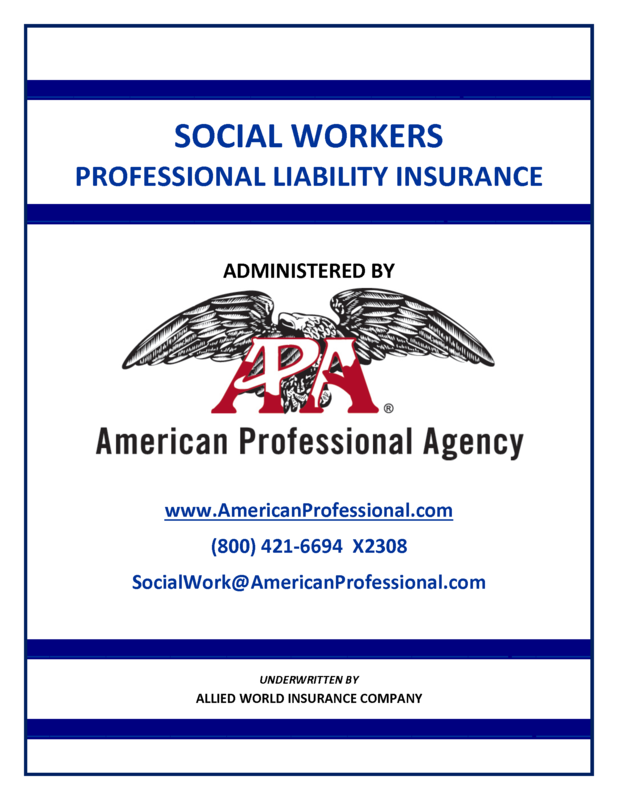 In 1969, American Professional Agency created the original Social Workers Professional Liability Insurance program which became the largest leading program tailored for Social Workers in all types of practice settings. Association membership is no longer required in The Social Worker’s Program bringing you great savings, comprehensive protection and a defense reimbursement limit of $35,000 for licensing board complaints included free of charge. Our account representatives have an outstanding reputation for their expertise and personal service, just ask your colleagues! Policyholders also have access to exceptional risk management services which include practice related inquiries. We have successfully managed over 11,000 claims and potential claims against Social Workers exceeding $150,000,000. If you are a STUDENT please click here to go to the student page.